The theatre was built in 1979 and provides a venue for professional and amateur performance. Events hosted include drama, stand-up comedy, brass bands, orchestras, pantomime to ballet. 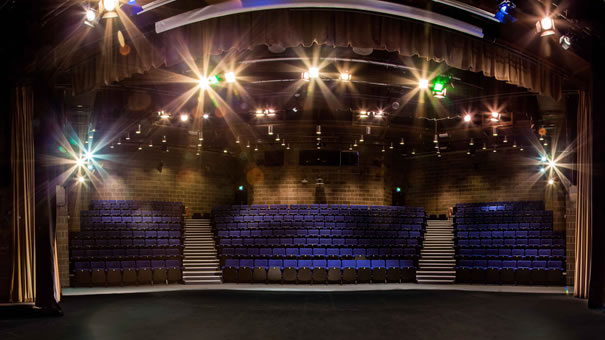 The centre has a raked 325-seat auditorium with full audio / visual, lighting and sound facilities. For smaller productions we have a 60-seat studio. Our theatre foyer makes an excellent space for small gatherings or meetings.